If you're looking for a casual yet dapper look, consider teaming a calibrate trim fit dress shirt with black skinny jeans. Both items are totally comfortable and will look great together. 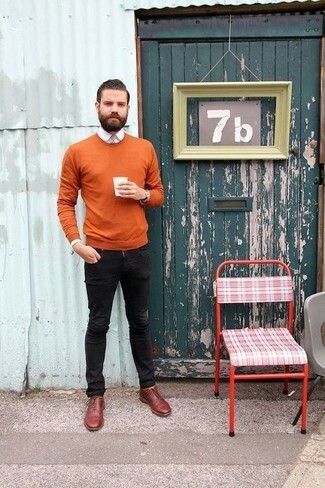 Spruce up this look with burgundy leather oxford shoes. 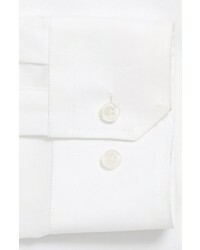 Wear a calibrate trim fit dress shirt from Nordstrom and blue dress pants for a sharp, fashionable look. 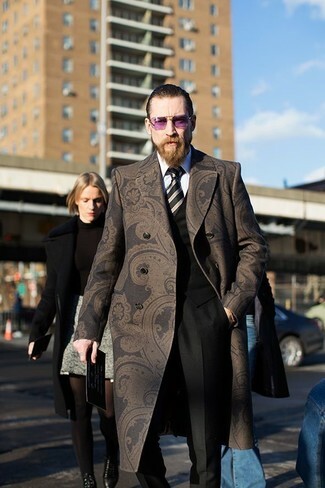 Contrary to what you might believe, being a dapper dude doesn't take that much time. 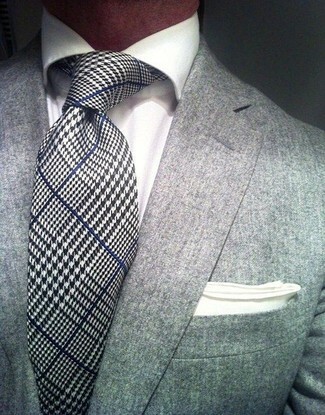 Just dress in a white dress shirt and black shorts and you'll look savvy. 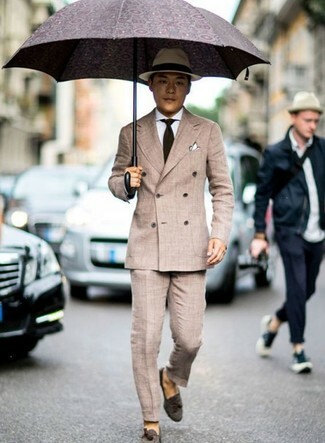 A pair of white leather derby shoes adds some real flair to this ensemble. 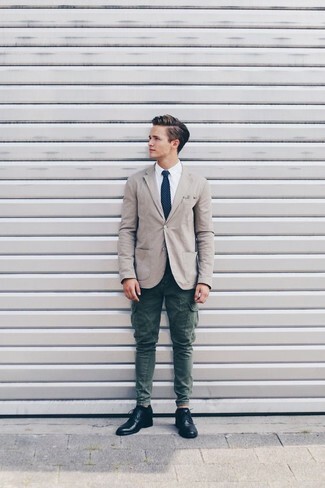 For a casually elegant look, consider pairing a calibrate trim fit dress shirt with dark green cargo pants — these two pieces play beautifully together. 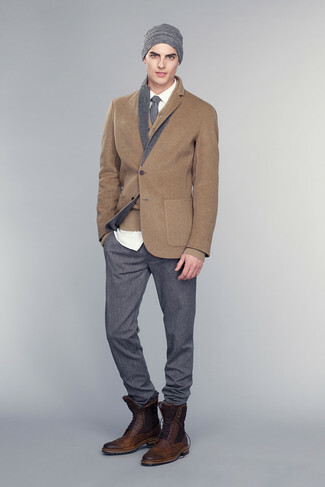 Elevate this look with black leather derby shoes. 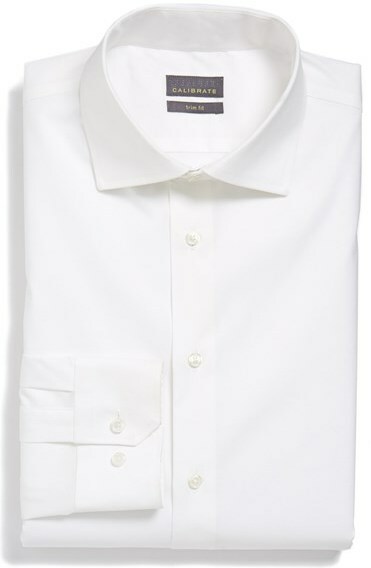 Go for a calibrate trim fit dress shirt and beige dress pants for a sharp, fashionable look. To bring out the fun side of you, complement your look with dark brown suede tassel loafers. For a nothing less than incredibly stylish getup, consider wearing a calibrate trim fit dress shirt from Nordstrom and black dress pants. 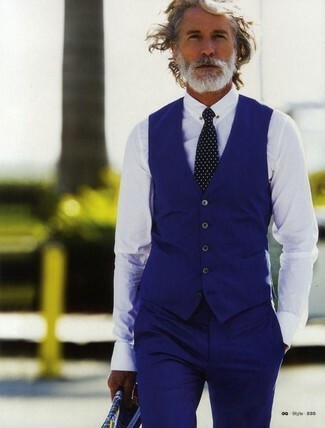 Opt for a white dress shirt and a blue suit for a sharp classy look. 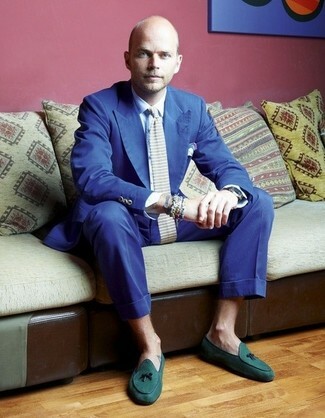 For something more on the daring side to complete this look, rock a pair of dark green suede tassel loafers. 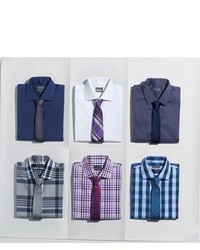 Rock a calibrate trim fit dress shirt from Nordstrom with a grey blazer for incredibly stylish attire. 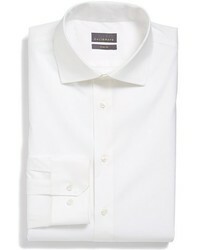 Pair a calibrate trim fit dress shirt from Nordstrom with charcoal dress pants for a sharp classy look. Want to go easy on the shoe front? Grab a pair of dark brown leather brogue boots for the day.